Villa Adriana is for sale. Old world charm meets modern design, construction and technology in this home. 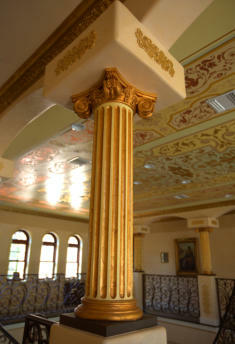 There are over 40 oz of gold leaf ornamental treatments in the ceilings and moldings and trim. The walls are all Venetian plaster, the floors are aged granite, the cabinets and doors are solid cherry, the master bedroom has 28,000 Swarovski crystals embedded in the ceiling. Villa Adriana is an old-world masterpiece home/mansion which also features many "smart house" elements such as computerized lighting controls, an advanced audio video distribution system, automated toilets, a home theater and much more. 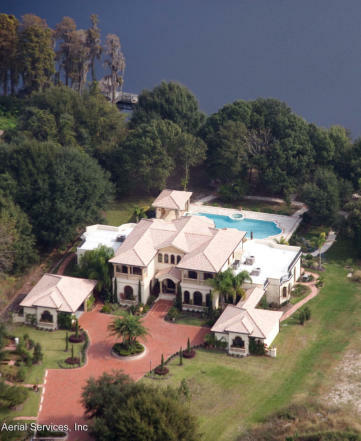 The grounds are nicely landscaped and this 5 acre home estate Palace/Home is situated on Home Site #1 in Bellamere. Three other Home Sites Available. at Bellamere . . .